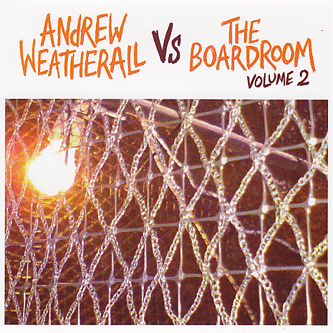 Andrew Weatherall invites his mates from their shared Boardroom studios for a bigol' remix session. The main man remixes TIm Fairplay's 'U Know Jack' as a spooked tracky-jacker before providing his own original cut 'Brother Johnston's Travelling Disco Consultancy' which sounds uncannily alike the previous track. Radical Majik's 'Direct Action' ticks the play-anywhere boompty tech-house box, before Weatherall remixes it, using the same reverb and dub chord treatments that appear throughout his debut LP - which is no bad thing. Con/man aka Repeat Repeat aka Dave Congreve will tickle the fancy of any minimal heads with his 'Butterflies And Bogeymen' cut, rounding off a fine selection.